Bitcoinx » News » Is Segwit2x The Next Bitcoin Cash, Or Just Another Failed Alt-Coin In The Making? Posted by Steve Shanafelt at January 1, 2018 in Bitcoin Tech, Finance, ICO, News Comments Off on Is Segwit2x The Next Bitcoin Cash, Or Just Another Failed Alt-Coin In The Making? There’s no getting around the fact that Bitcoin Cash (BCH) — the controversial bitcoin hard fork promoted by equally controversial personalities Roger Ver and Jihan Wu — made a name for itself in 2017. Leaving aside the technical discussion around Bitcoin Cash, and its long-term viability as a rival to Bitcoin Core, the BCH fork did manage to prove an essential point: Bitcoin forks can generate serious money. But what happens when a new hard fork modeled on the so-called “New York Agreement” enters into the mix? Will the new “Segwit2x” fork gain real traction, or is it doomed to quickly become another unused alt-coin? It’s worth noting that there have been two Segwit2x projects. 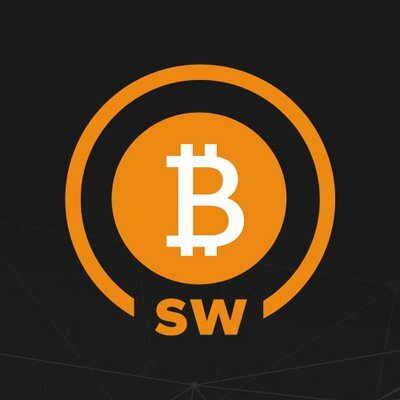 The original Segwit2x team sought to create a fork that would double the amount of data that could be included in each bitcoin block (from 1MB to 2MB) while also implementing the much-needed segwit (segregated witness) upgrade. The Segwit2x fork was intended as a compromise between “big block” faction of bitcoiners (largely driven by companies pushing for a rapid transaction scaling solution) and the more deliberate, structure-focused Bitcoin Core developers. Unfortunately for the original Segwit2x, the launch of the Bitcoin Cash fork on Aug. 1, 2017, changed everything. There would be no segwit in the BCH fork, and instead the scaling issue would be dealt with by a block size increase to 8MB. Given that BCH had the support of Bitmain — the 800-lb gorilla of the cryptocurrency mining world — it soon became clear that a compromise fork between the two opposing models simply wouldn’t have enough support to be viable. On Nov. 8, mere days before the original Segwit2x fork was slated to launch, organizers canceled the fork completely. That seemed to be the end of Segwit2x, but the situation became more complicated in mid December when a new project using the Segwit2x name began to promote itself on social media. This version of Segwit2x has a lot in common — on paper, at least — with the original Segwit2x plan. It includes a block size increase to 4MB and implementation of segregated witness, for instance. At the same time, it implements other changes — block generation every 2.5 minutes, X11 encryption, difficulty recalculation after every block — which have nothing to do with the original Segwit2x roadmap. This version of Segwit2x also has a suspicious lack of support from the original Segwit2x team, which featured some of the most notable personalities in bitcoin. According to at least one report, the new Segwit2x team has even admitted that there is no connection between the two projects. This, combined with a development staff that seems largely inexperienced in anything related to blockchain technology, doesn’t exactly make a great case for the legitimacy of their fork. Other proposed changes, like the redistribution of the long-dormant “Satoshi Coins” — roughly a million coins thought to be mined by Satoshi Nakamoto in bitcoin’s earliest days — definitely raise an eyebrow. If anything, the Segwit2x fork — as well as related projects like Bitcoin Gold, Bitcoin Diamond, and BitcoinX (no relation to this site) — brings to mind the early days of alt-coins, when countless developers launched half-baked cryptocurrencies in the hopes of cashing in on the bitcoin gold rush. In any case, the Segwit2x team has managed to successfully launch their hard fork, splitting off from the main bitcoin blockchain on Dec. 28th. Thus far, few exchanges support the “B2X” token, with many still listing it under coin futures. Other details, such as total coin supply and level of miner support, are currently unavailable. Will the Segwit2x fork manage to carve out a space for itself among the flood of new fork-created alt-coins, sharing hashrate with BCH and others? Will it live up to its namesake’s goal of fostering both innovation and compromise? Or will the B2X token join the legion of other failed, forgotten, and abandoned alt-coins? Only time will tell.